Honne (本音) and tatemae (建前) are Japanese words used to describe the contrast between one's personal feelings (honne) and the facade that one presents to the world (tatemae). While it certainly depends on the person, in Japan it's often difficult to get past the wall that people put up and get to know someone's true feelings. Generally this "wall" is a friendly one, mind you, but sometimes not genuine. I don't think this is a uniquely Japanese thing, and I think we all conceal parts of our true feelings. I thought I'd explore this idea a bit since I find it both fascinating and frustrating. One thing I often found unsettling while teaching English in Japan was how many of my students would wear a mask, not just when they were sick, but in general. Some kids wore it every day. Once in a while, during flu season, I'd walk into a jr high classroom and every single kid would be wearing one, and I'd be unable to fully "read" their social cues. 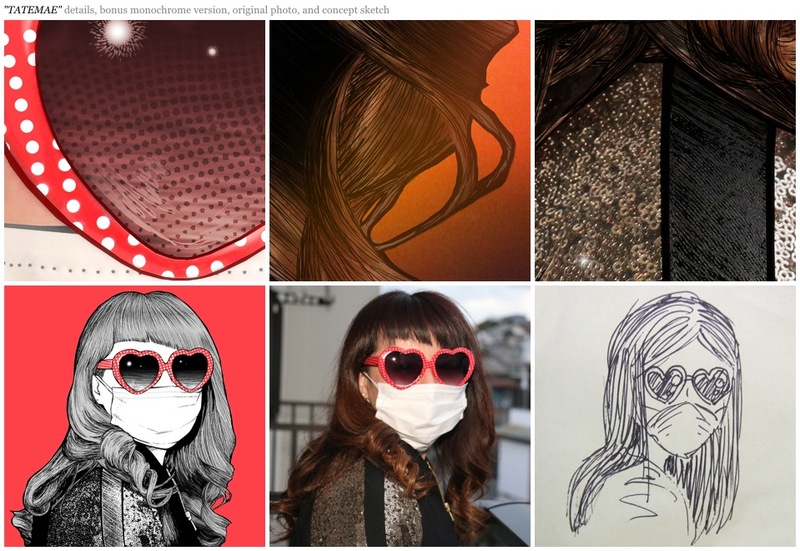 I think for most people it's a matter of stopping germ transfer when a bug is going around, but for the folks who wear them every day, it seems like the tatemae mask takes on a literal form.